Glitter make-up looks are the go-to trend for weddings, parties and functions. There are various ways to contain glitter into our eye make-up. 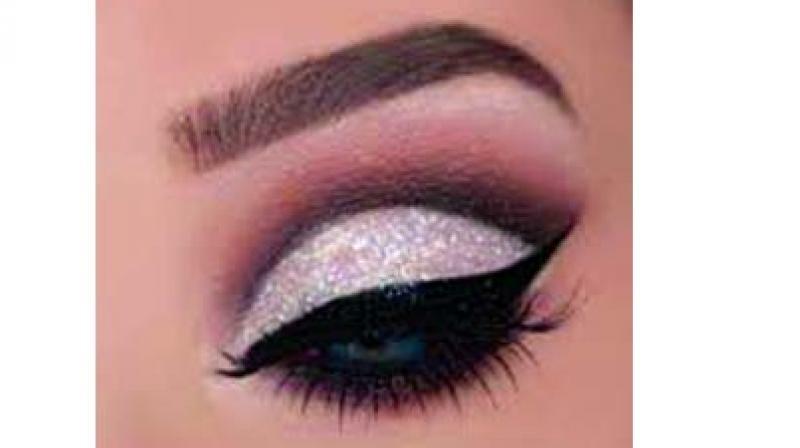 The most popular trend right now is the glitter eye make-up. There are many types of glitter available in the market like liquid, pressed and loose glitter, anything can be used to increase your glam factor. To let your eyes sparkle and shine, glitter eyeliner is the minimal one, it need not be applied all over the lid, instead a small amount can be applied on the winged liner to create a subtle and fabulous look. Glitter is not only used for eye make-up, it can be used on the lips and nails as well. Glitter or metallic lip colours would look great on a dark coloured attire. Glitter manicure is another great way to rock your look. A couple of shimmers can give you a hot lift, however, there’s a fine line between flawless shine and looking like a disco ball. There are few do’s and don’ts that should be pursued to look stylish. Fine glitter is a good way to add sparkle into your make-up. Shimmer is best suited for night parties as it focuses better during the night. Avoid highlighting everything at once. Use neutral shades of glitter to add balance to your look. Avoid using glitter eye make-up along with bold lip colour. Don’t use too many colours at the same time, choose them wisely. — The writer is a make-up artist.